This lovely Tuscan oil is medium fruity, produced from green olives. The oil is well balanced with notes of artichoke, fresh herbs and spices. 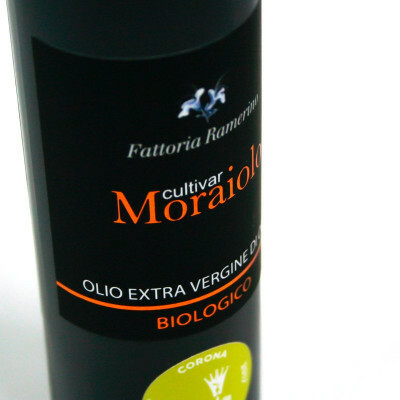 Cultivar Moraiolo is one of the best pressings obtained from Moraiolo olives, and especially local variety. Picked at peak ripeness, they are pressed in several batches, each of which is then carefully tasted and chemically analysed, and the best is singled out to make up the final bottles of Cultivar Frantoio. 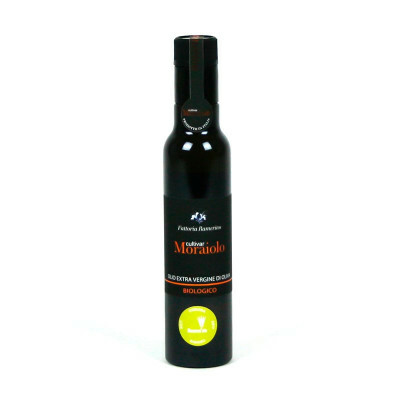 A medium fruity oil made from green olives with hints of artichoke, fresh herbs and spices. It is recommended as the perfect extra virgin olive oil for dressing Insalata Caprese, and is also ideal on white meat or fish. This perfectly complements boiled potatoes, and simply prepared asparagus and zucchini.